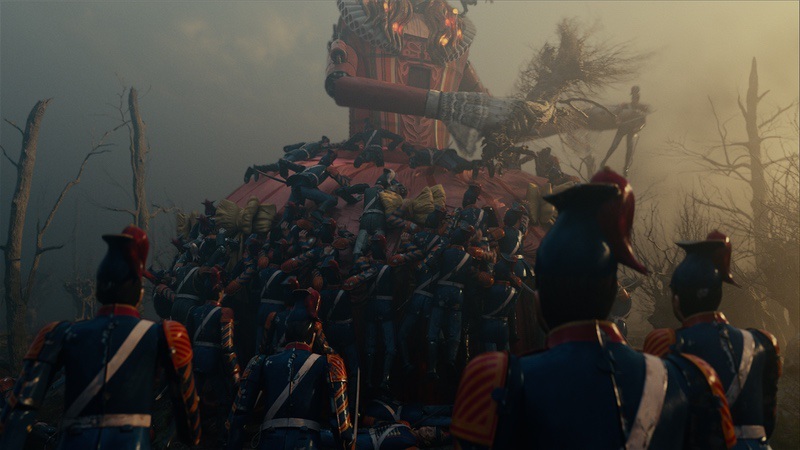 MPC has crafted more than a thousand shots for Disney’s The Nutcracker and the Four Realms. 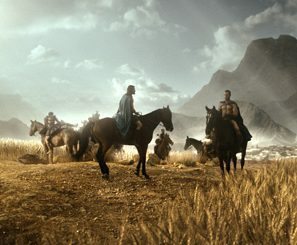 The scope of the work was wide-ranging, from CG environments including palaces, forests and rivers, to large-scale FX work and extensive digital character builds and animation. 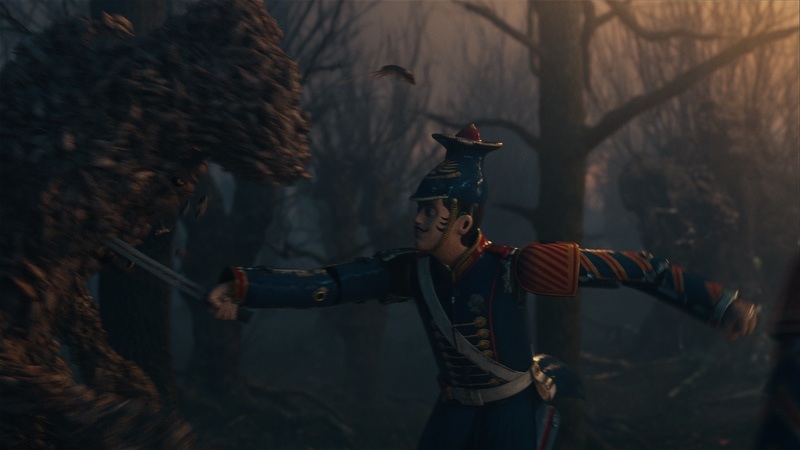 The film, directed by Lasse Hallström and Joe Johnston and written by Ashleigh Powell, is a retelling of E. T. A. Hoffmann‘s short story The Nutcracker and the Mouse King and Marius Petipa‘s The Nutcracker. 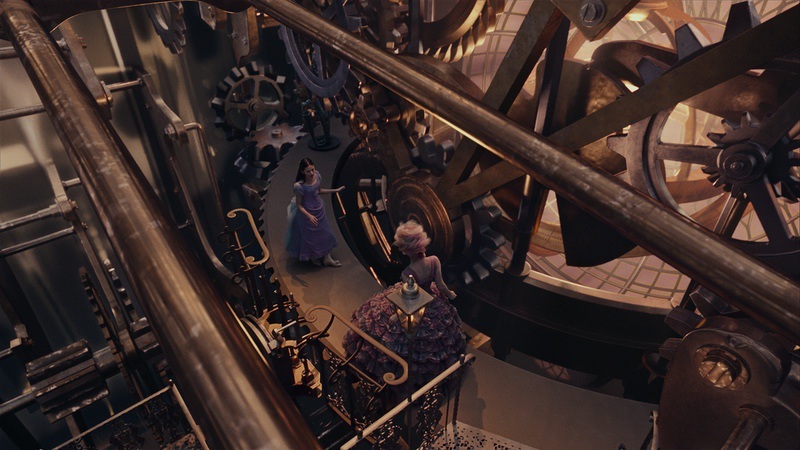 It’s set in a strange, mysterious parallel world, home to the Land of Snowflakes, Land of Flowers and Land of Sweets, where heroine Clara must brave the ominous Fourth Realm and its ruling tyrant, Mother Ginger, to return harmony to the unstable world. 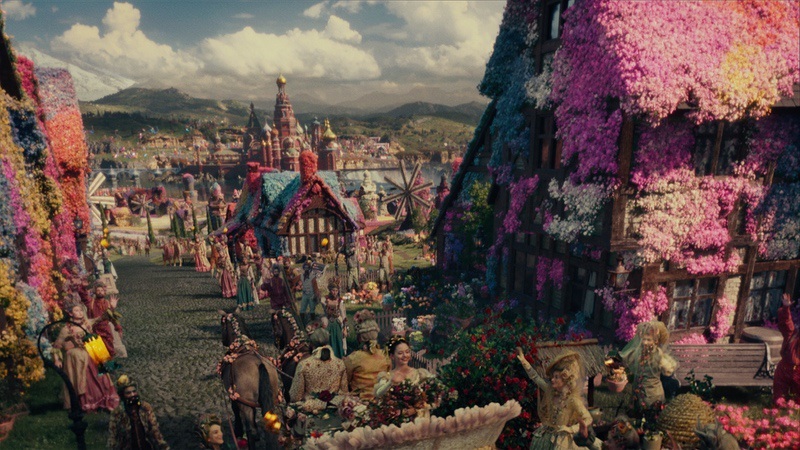 The huge visual effects task of bringing the four realms to life was led by overall VFX Supervisor Max Wood and MPC VFX Supervisor Richard Clegg. 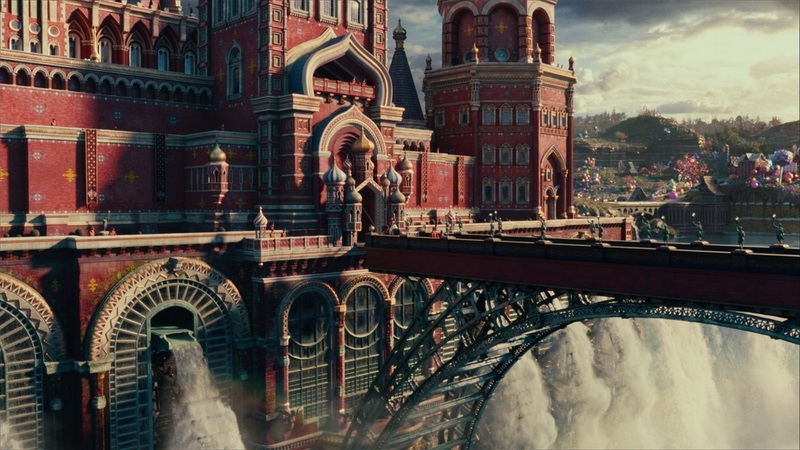 MPC created 101 CG assets in total, broken down into several distinct areas including the beautiful, majestic Russian influenced Palace, as well as realms of snow, flowers, and sweets. 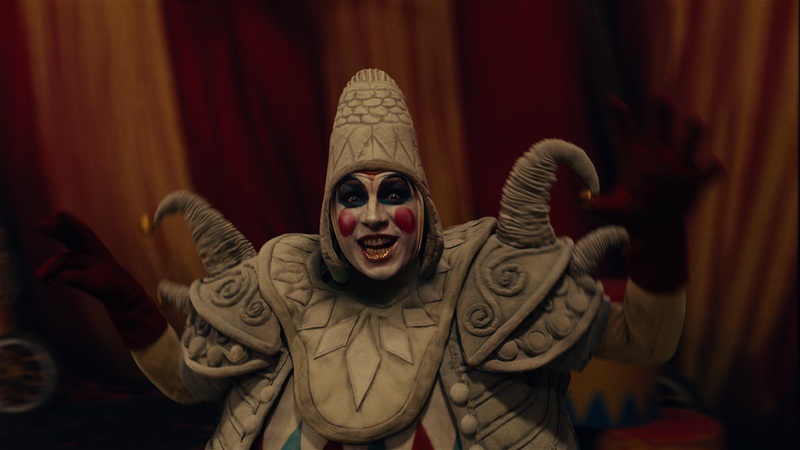 For the Fourth Realm, the MPC team built polichinelle clowns, an army of tin soldiers, a giant Mother Ginger mechanical puppet, numerous environments and many animals. 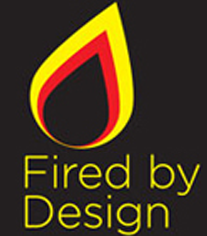 Production Designer Guy Hendrix Dyas and the production art department produced stunning concept art for the film. 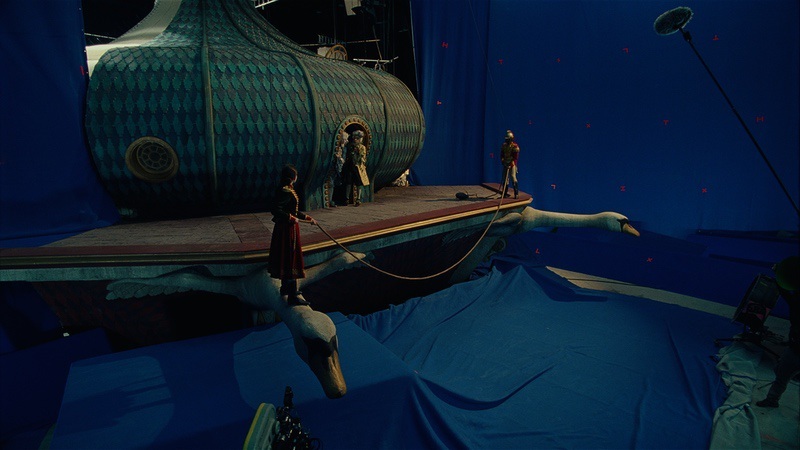 While the designs were fantastical, there was a strong focus on realism by ensuring real world scale to the environments. For example, the waterfalls had a realistic drop and the mountains were an appropriate height. 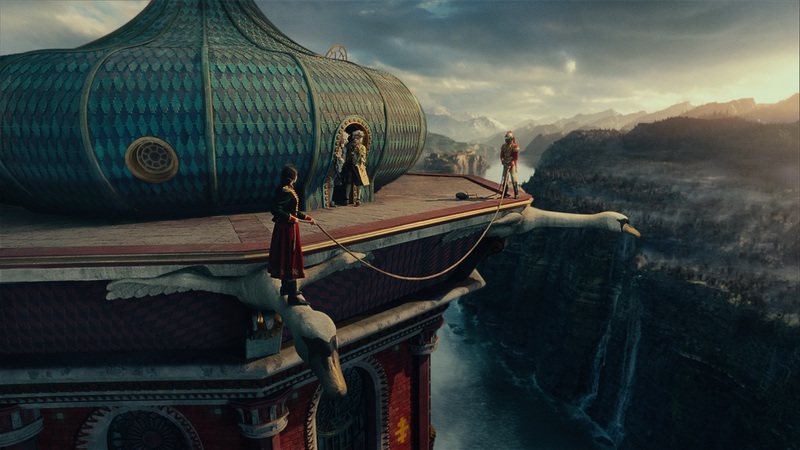 The world, which needed to be visible from different angles and distances throughout the film, was fully built in CG and rendered, rather than relying on digital matte paintings. 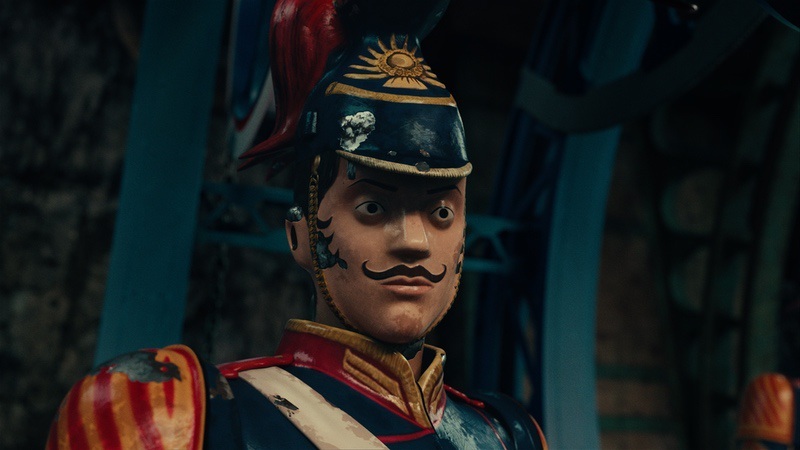 The Mother Ginger marionette is a giant puppet, designed by the art department to be a menacing 40 feet tall and 30 feet wide, with a circus tent for a skirt. 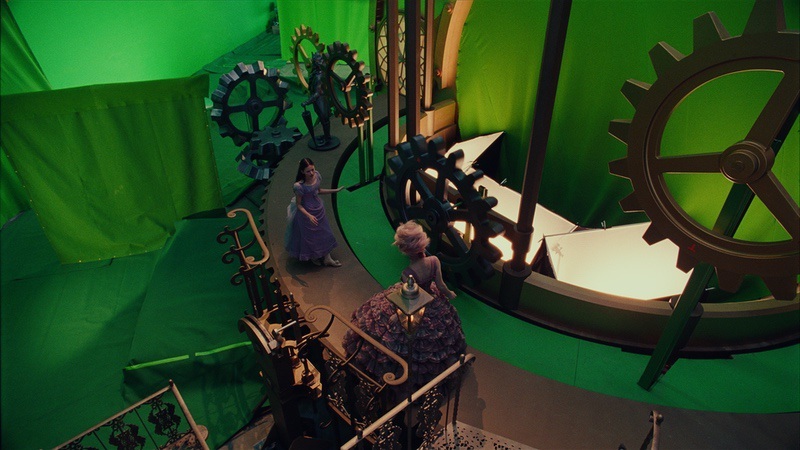 In several shots there is a huge practical Mother Ginger puppet skirt, torso and head, but for most scenes she is a full CG character, built to perfectly emulate the practical build used while shooting. 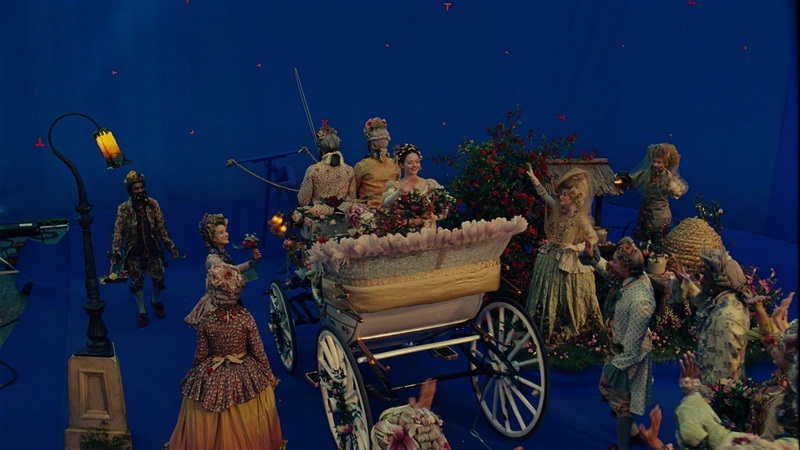 For shots where the puppet is practical, she was enhanced with CG steam, arms and mouth. 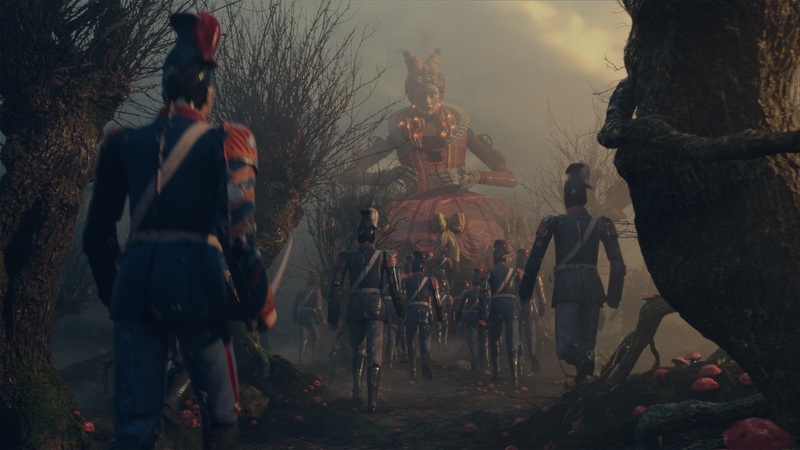 The most complex challenge was designing her mechanics to work for a battle scene where she is attacked by an enormous army of 7-foot-tall tin soldiers that swarm around her. 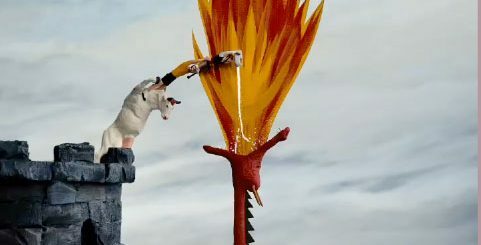 In this scene, she uproots trees and use them as clubs to beat down the soldiers in an attempt to escape. 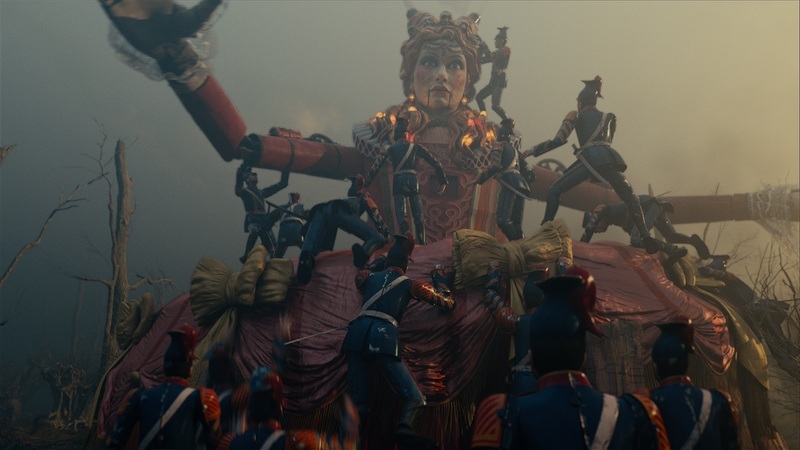 MPC’s artists animated the army of tin soldiers to climb on top of each other to form a pyramid that raises them up to her height.The complexity of making the climbing and interacting soldiers was made all the more difficult by the cloth simulations that needed to crafted, as they push against the canvas of her tented lower body. 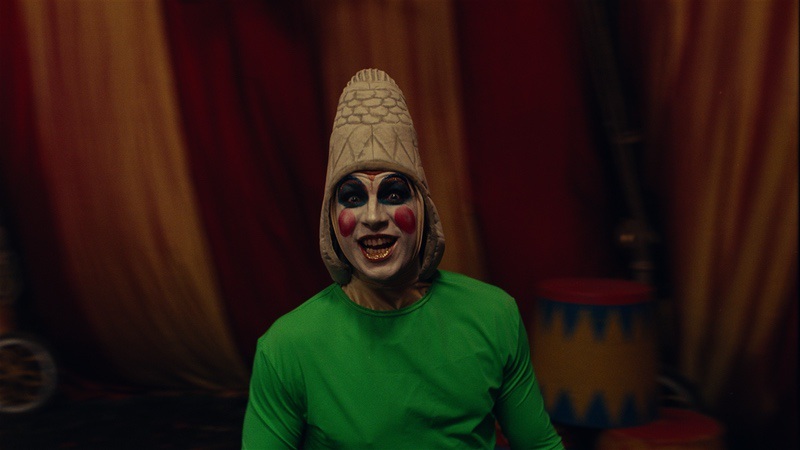 Another of the stand out characters in the Nutcracker is Mouserinks, the small, furry, hero mouse of the story. 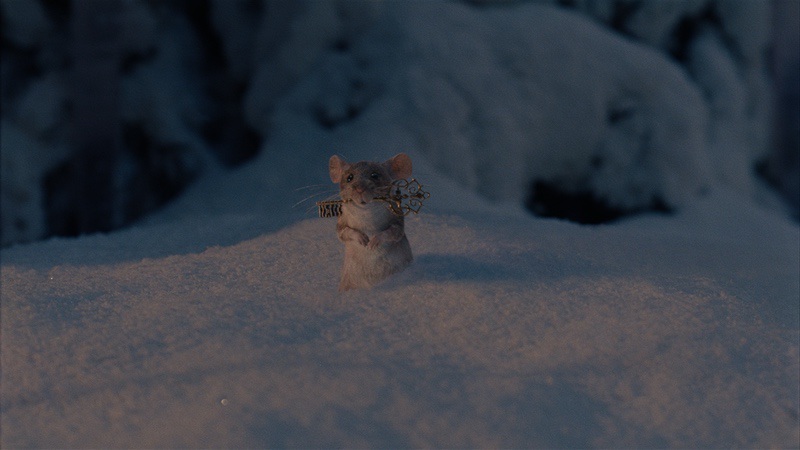 Mouserinks is the leader of the Mouse King’s army, but also Mother Ginger’s trusted sidekick. 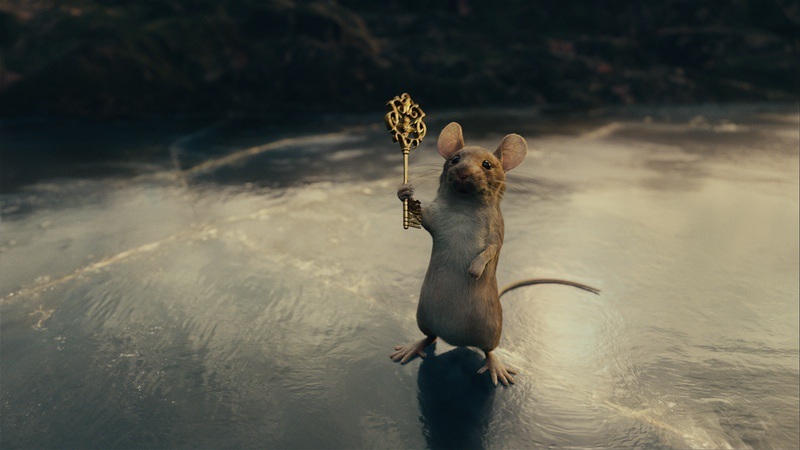 MPC’s character lab artists had to find the right balance between anthropomorphism and natural mouse behaviours in his performance to maintain his cute appearance for the duration of the film. 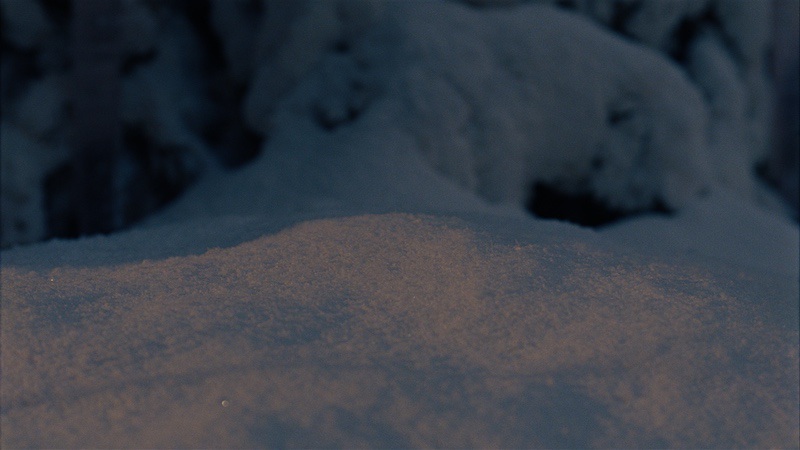 The Mouse King character is one of the most unique characters in the film and was the most complex in terms of development. To create this 9-foot creature, formed from thousands of mice, MPC’s team had to find the right balance between creating believable physical crowd simulations of the vast quantity of mice, and allowing the base shape and structure of the Mouse King to be directable.